Websites of exchange operators Nasdaq and BATS have been attacked by hackers over the last 24 hours, causing ongoing disruptions for those trying to use the sites. Sites was down because of distributed denial-of-service attack from a group of Anonymous hackers. L0NGwave99,a online hacktivist, is claiming to be responsible for the attack. In a release issued Tuesday, an operative writes "This DDoS Operation over NASDAQ is done in support of the great and rooted 99% movement, whom the L0NGwave99 Group has decided to give a present." "The website wasn't hacked, nobody got any information. What they did was try to block access for our users," NASDAQ spokesman Joseph Christinat adds to the agency. 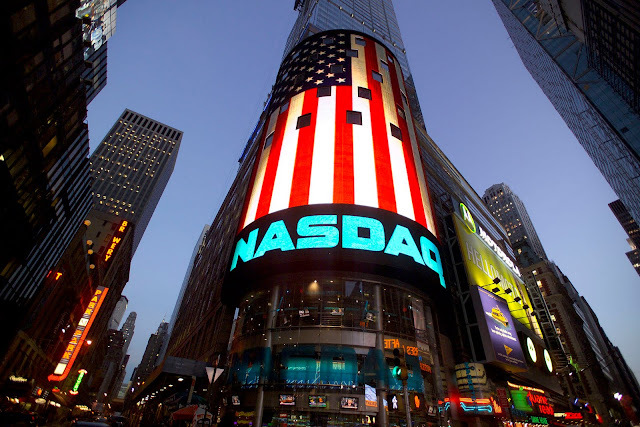 Trading in Nasdaq stocks has not been affected by the attacks. According to reports, the attacks have also affected the NasdaqTrader.com site, although it seems to be fine at the moment. "The website wasn't hacked, nobody got any information. What they did was try to block access for our users," said Nasdaq spokesman Joseph Christinat. BATS spokesperson said the company was affected by a denial of service incident. "Our trading systems were not affected and there were no exchange customer disruptions associated with the incident," the exchange said in a statement. Hackers also briefly took down the CIA's website last week.